June is often synonymous with "strawberry season," though strawberries does seem more a spring fruit than a summer fruit. But it is in June that "Eton mess" was traditionally served at Eton College in England, and it is in June that strawberries and cream are served to welcome a new Wimbledon tournament. 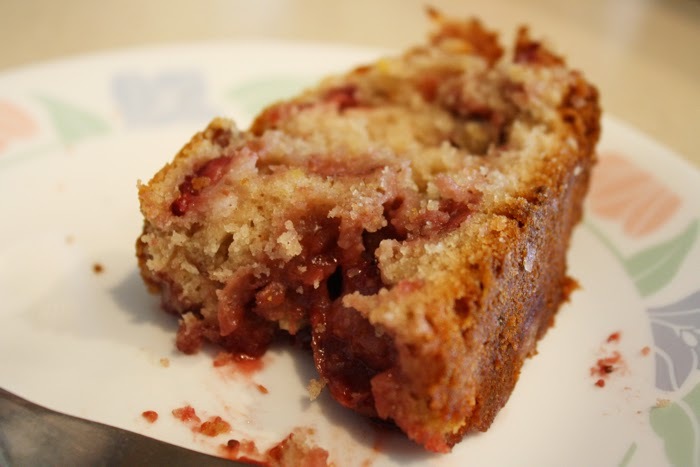 With an abundance of strawberries at my disposal this year, I decided to whip up a few goodies based around strawberries, and this strawberry pecan bread is the first of these recipes. I'd gotten the idea while flipping through a copy of the Pensacola Florida Junior League's cookbook, which I'd been gifted last year. I sort of grabbed bits from the Junior League recipe and Saveur's to come up with this. Heat oven to 350 degrees Fahrenheit. Grease 2 loaf pans with butter and dust with flour; set aside. 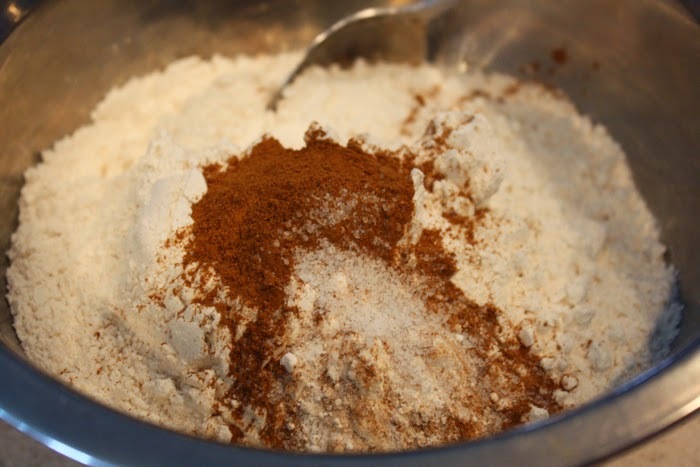 Whisk flour, baking powder, cinnamon and salt in a large bowl, and set aside. In a separate bowl, whisk the sugar, oil and eggs together. Pour the wet ingredients over the dry ingredients and whisk until just combined. 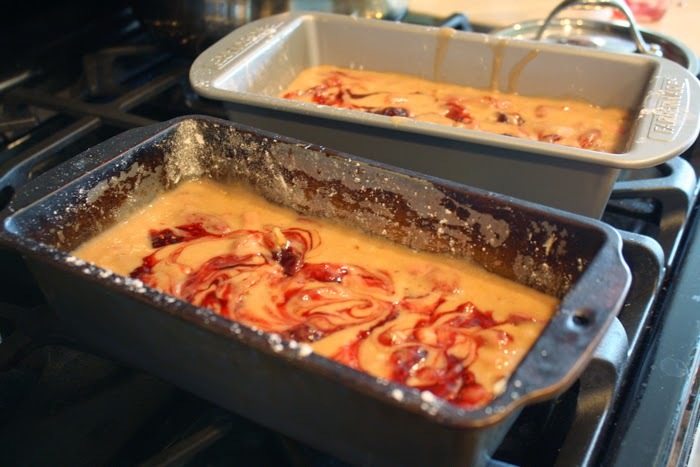 Stir in the strawberries and pecans, and pour the batter into prepared pans. 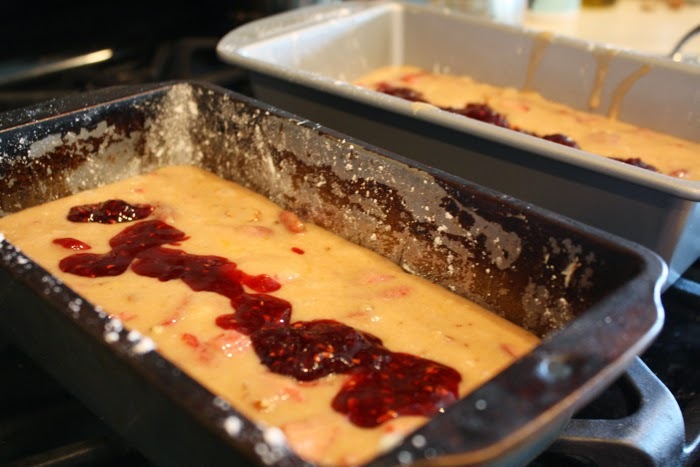 If you're using jam, spoon 1/4 cup over each loaf and swirl the jam into the batter with a knife. Bake until golden brown and a toothpick inserted comes out clean, or about one hour. 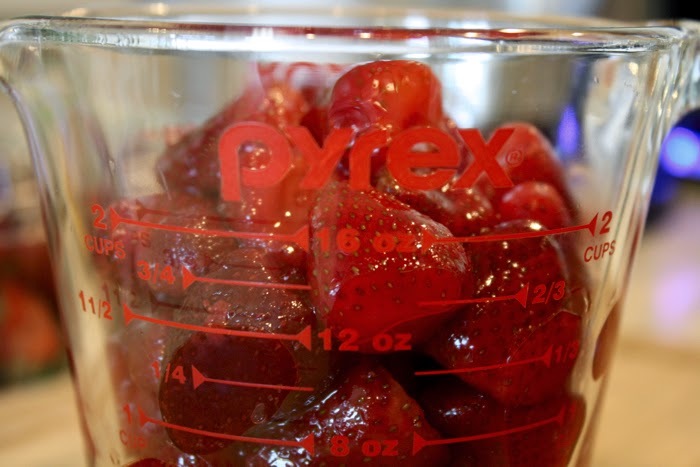 Allow to cool for 30 minutes before slicing and serving. This was a really moist and delicious bread. 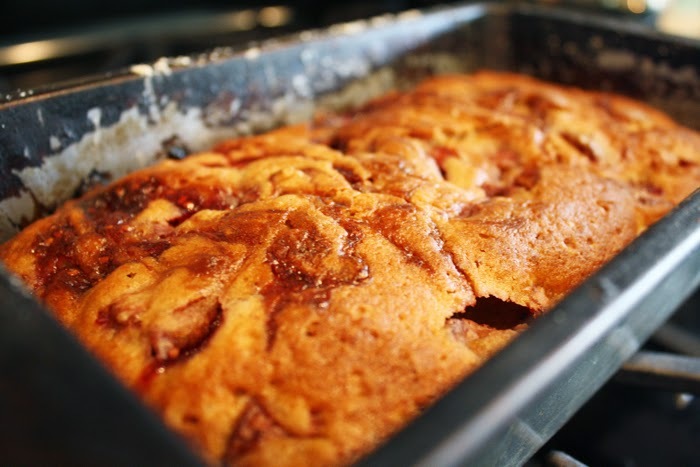 I'd hardly call this bread -- it was more like a cake. 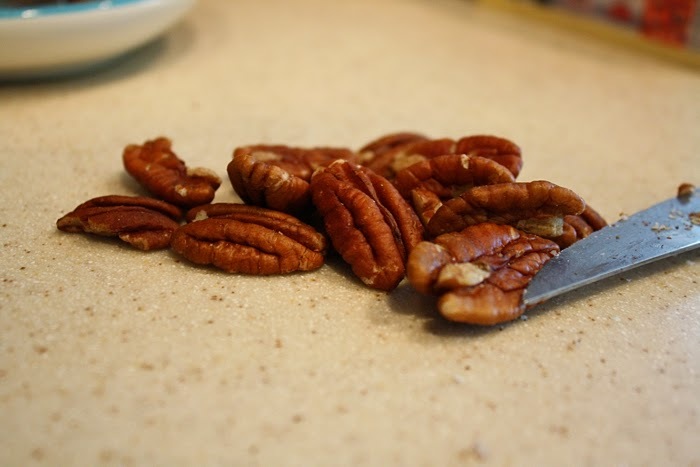 A really great yet easy recipe that I'll definitely add to my personal recipe book and make time and time again. Make sure to store it properly if you're making it in the spring or summertime -- because it's so moist, it's bound to go bad faster than most other breads. Enjoy!